Should you compromise on work boots? Never ever. The best work boots also need to be long lasting and most comfortable ones. Whether these are for men or women, whether you need steel/safety toe or not, tiring long work shifts deserve the best equipped safety footwear- loaded with features like slip resistance, waterproofing, electrical hazard and so on. Industrial, construction and all other risky, hard work sectors demand specialized job-oriented boots. 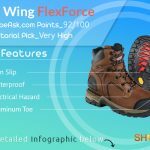 Enjoy your freedom of choice- we picked just under 100 pairs in this best work boot series, and this post is the core article. all sorted out in categories- so that you can easily compare them at a glance. Here you get precise and honest reviews in a nutshell- which is rare. How did we find the best ones? Comp Toe: what and why? What’s a met guard, why would you need that and how to pick the best one? 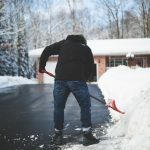 Soft toe: does your job really require toe safety caps? Why Would You Choose EH Boots? Who Produce the Very Best Dependable Work Boots? Which Series is the Best? Yes, we’ve picked 23 pairs from all of our best & most comfortable work boot articles. After analyzing thousands of specs and buyer reports, we had to evaluate each pair in 20 sections for more than 27 factors. Among the hundreds, few got full 5 marks out of 5 for comfort as well as reliability and durability. Most of these select pairs are from that 5/5 list. And we regularly update this article series. For the last 14 months, we edited the series for more than 300 times. Durability, comfort, safety and presentation are the top inseparable features of a best pair. Check out the very best work shoes for factory and construction jobs. In most of the cases, work boot means industrial boot or construction boot. 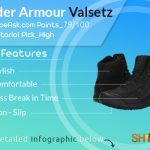 So, most of the work boots evaluated here in this article evolve around one or more features of industrial and construction boots. These are the toughest ones too! Boot construction is pretty important for these gears. Another pair of nearly legendary comfy work-boots from Timberland. Better for: Construction, factory work, electricians. Features Present: Composite OSHA safety toe, electrical hazard, waterproof leather, odor control and oil-resistant. Essential Features Absent: Nope, they did not spare any. Extra Features & Benefits: Rubber toe protector, light sole. There are a number of technical features as well. Limitations: A few reports say they might run small. Why did we recommend? Highly reputed brand and good for heavy duty work. Trust them and you won’t regret. Better for: Construction experts, electricians, equipment operators, industrial workers, forklift truck drivers. People working in the oil, gas and power sectors. Features Present: Slip resistant, steel toe, EH, Goodyear Welt. Essential Features Absent: No insulation. 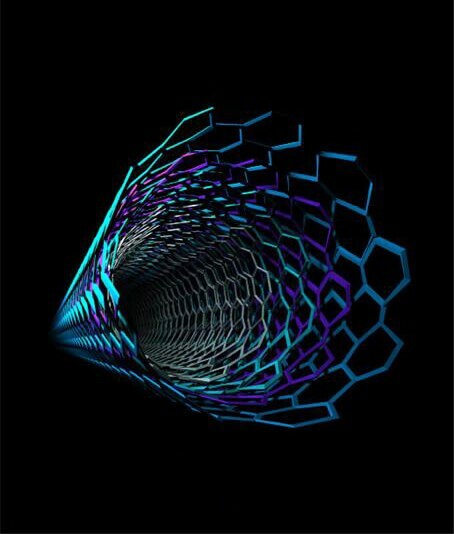 Limitations: No antimicrobial treatment, not lightweight, less breathable, less flexible. Level of Recommendation: High- as they are trusted and cheaper. Why did we recommend? Super popular, very low price, trusted brand. Better for: Badass jobs, tougher guys. These are crafted sine-cera. Features Present: Asymmetrical steel toes, waterproof, oil and slip-resistant, breathable, natural odor control, TPU stability shank and 90-degree heel. Essential Features Absent: All elements are carefully included. Extra Features & Benefits: Non-marking rubber outsole, hydrophobic mesh lining, Cleansport NXT™, electro static dissipative (ESD- reduces excess static electricity), ASTM F1677-96 Mark II, ASTM F2412-11 and F2413-11 I/75 C/75 SD Standards. Limitations: A few second thoughts on fitting. May run slightly narrow. Why did we recommend? Quality product, well-built, look good, feel comfortable, so far this boot is great! Nice boot for a great price. Better for: Risky jobs. Industrial duties. Features Present: Protective steel toe, electrical hazard, water resistant, slip- and oil-resistant. Essential Features Absent: They are not mentioned as waterproof. 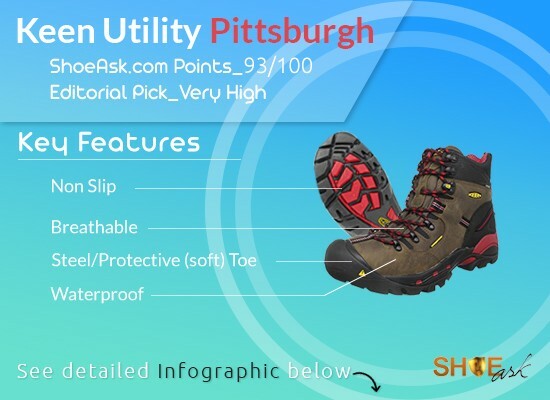 Extra Features & Benefits: ANSI/OSHA approved, lug outsoles, PVC outsole, heat sealed welted construction, EVA footbed and padded ankle support, ASTM F2413-11 and MI/75 C/75 EH. Limitations: Durability is not great. But if you consider price vs durability, it’s OK. There are some issues reported on fittings. Why did we recommend? These are undoubtedly great boots at a good price. Real strong, comfy industrial boots. Look at them! Aren’t they made for the awesome guys? Better for: If you don’t like laces or if you have to frequently put them on and off, these are a good choice. You can use them for industrial and construction jobs too. Features Present: Steel toe, electrical hazards, slip resistant, full grain leather, nubuck upper. Extra Features & Benefits: light weight, comfortable, available in soft and steel toe, cement construction. Why did we recommend? Reputed brand and fashionable work boots. They will serve well for a long time. Price is very good for a budget. Better for: Pull-ons are for specialized jobs. These ones are no exceptions. Features Present: Water resistant, waterproof lining, slip-/oil-resistant outsole, oiled full grain leather lining upper. Limitations: Fitting issues- ½ size up and down. Why did we recommend? Great look, stylish, renowned trusted brand. Please note: We have 7 steel toe boots in this section while there are 20+ steel toe work boots all over this article and series. Best & Comfiest Work Boots series was a singular, holistic effort. Explore for more. Due to scientific prosperity, work environments changed a lot. We must keep up with the ever evolving demand. Demand that is rising in 7 billion earth-men. 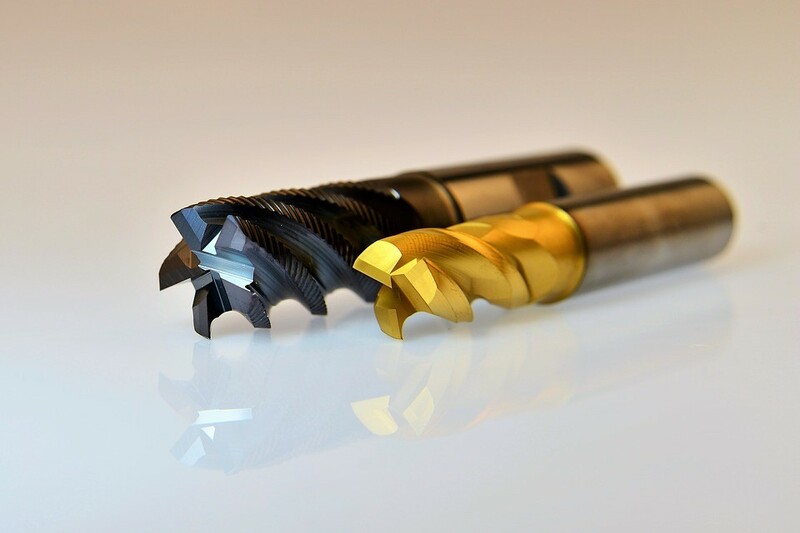 Workers now must deal with heavy industrial tools, machinery and hazardous cargo more than ever. 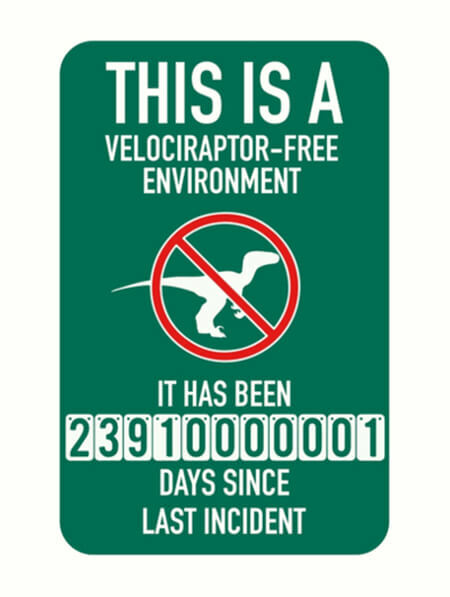 Work needs to be accurate and speedy- but here comes the safety issue. Now, safety toe caps are a must-have in heavy duty jobs. The toe box of footwear may contain some kind of shield to protect the front parts of your feet. There are basically these types of safety caps:Steel, composite, alloy & aluminum. Met guards are the best possible safety feature around. It guards the entire length of your metatarsal area. Steel toe is the universal old school synonym for safety cap. These are the most popular, considered dependable from the very beginning. Steel toes are harder to bend or smack. They’re meant to win over immense pressure and sudden clash. There are three downsides though. If electrical safety is a priority at your work-space, go for comp toe or EH steel toe. Steel is a good electric conductor. These caps are heavier than most other types- you have lighter safety toe options as well (we have covered them below). If you must pass through metal detectors every now and then, avoid them. On the contrary, we’ve done intensive groundwork on all the features which you can find in our review articles. Features Present: Steel toe, waterproof. Oil, heat and abrasion resistant. Polyurethane outsole (and many more to be found on the in-depth review). Essential Features Absent: Main features are all present. Extra Features & Benefits: Antimicrobial treatment, anti-fatigue technology (shock absorption and energy return), conical midsole geometry, Goodyear® Welt Cast-Bond™ construction, polyurethane material, steel shank, Ever-Guard™ leather uppers and more. Limitations: There are some second thoughts on waterproofing and durability. Speaking of durability, Timberland pro are not easy to put down. Ask us, does it have bad waterproofing? Not really. Timberland used good WP technology. It is rather hard to satisfy you when you submerge the feet. Why did we recommend? Highly reputed brand, series and product. Ringmaster XT is impossible to ignore. To many, these are ‘the work boots’! Better for: Tough guy’s rough work. Features Present: Steel toe, electrical hazard (EH), waterproof and slip resistance. Essential Features Absent: Not really. Extra Features & Benefits: ASTM 2413-05, m/i/75/c/75 eh. Limitations: As these are very comfortable, may not survive more than 8 months’ rough use in some cases. A top class comfy safety boot serving around a year should be a good deal. Level of Recommendation: Undoubtedly, very high. Why did we recommend? If you end up choosing them, they will take care of the feet in every way. These boots are hidden gems. See the specs, see how satisfied the users are! They fit very well. Stylish, bold, all-purpose look. Better for: Any job that needs a safety toe. Features Present: Steel toe, waterproof, oil and slip resistant, electrical hazard, rubber sole, full grain leather. Essential Features Absent: Not insulated (insulation is for icy cold environments). Extra Features & Benefits: Nail-free construction, removable polyurethane footbed, ASTM F2413. Limitations: Not really. If weight concerns, you can easily get the six inch boots. Level of Recommendation: Very high, editor’s choice. Why did we recommend? ‘widest oblique toe box in the industry’, relatively inexpensive, cool and stylish look, unexpected buyer satisfaction and renowned trusted brand. Shocking features and stunning look. Period. Better for: Medium to heavy jobs. 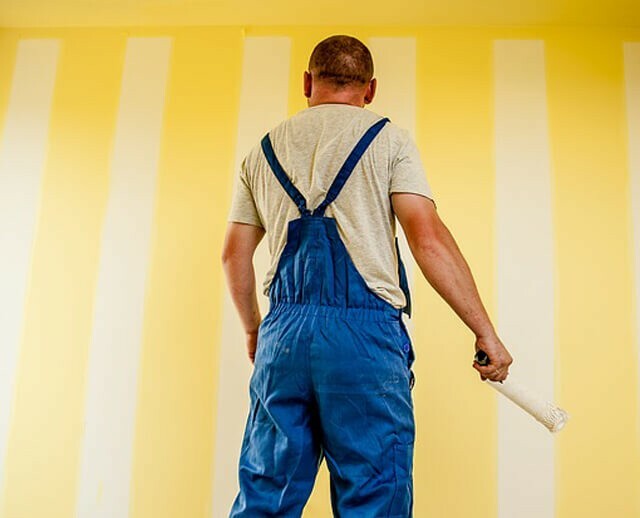 We would not recommend these for way too risky and hard work. Features Present: Steel toe, electrical hazard, waterproof. Essential Features Absent: None of the essentials are absent. Extra Features & Benefits: Full-grain leather, lightweight, polyurethane midsole, 3D OrthoLite® footbed. Limitations: No particular cons yet. Why did we recommend? Exceptionally fashionable while keeping every pro feature needed. They are one of the best work boot pairs in terms of style and look. Timberland Pro Pit Boss boots are selling like hot cakes for eons. Better for: These are Timberland Pro’s second level work boots. You can use them for high risk jobs. Features Present: Steel toe, EH, slip resistant, antimicrobial treatment, Goodyear Welt, PU midsole, nubuck leather, PRO rubber outsole. Extra Features & Benefits: Pro features like shock absorption and energy return. 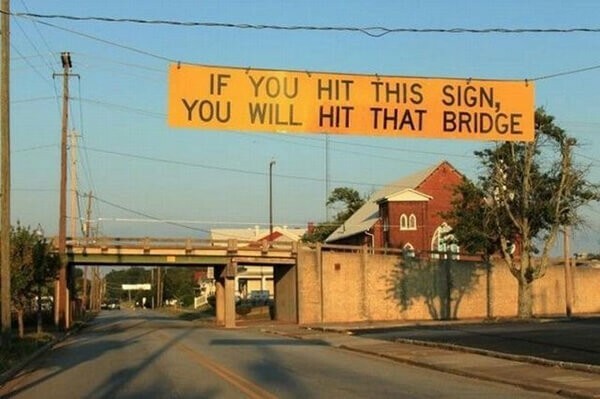 Limitations: Surprising area of probable faults which is a downside. Eyelets, sizing, shaping, longevity or build quality may let you down (or may not- in most cases). Don’t be disappointed, you have a clear 85% probability of getting it in a good shape and using for a long time. Level of Recommendation: Medium, if you have an option to go for other PRO or UTILITY boots which are clearly better. High, if the price concerns you. Why did we recommend? Very popular, PRO features, low pricing. Diagnostic boots are very good for comfort. Trusted all over the United States. 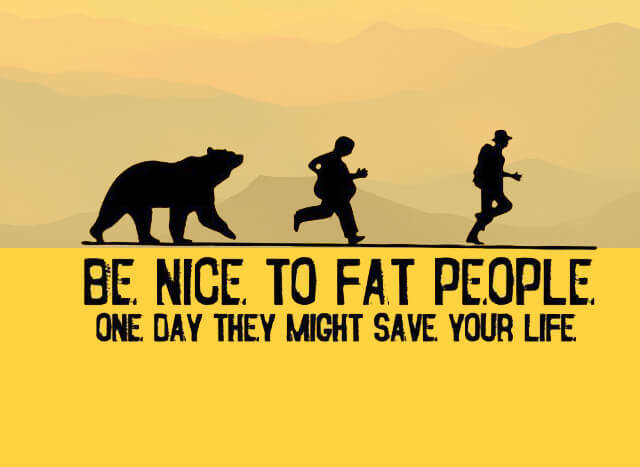 Better for: Overweight persons, troubled feet, all day in concrete and asphalt. Features Present: Steel toe, electrical hazard, slip resistant outsole, moderately insulated. Essential Features Absent: You get everything you need. Extra Features & Benefits: Removable perforated EVA with gel. Limitations: There are questions on waterproofing, build quality and durability. Most probably, these would not cross a year of rough use. The question is, would you expect that much from a comparatively inexpensive pair of boots which are super comfy and healthy? Need more comfort? All you may need is a pair of insoles. Level of Recommendation: Medium if you think durability is a big issue. Otherwise, highly recommended. Why did we recommend? These are as comfy as the Timberland Pro boots. Simply, more comfortable than most of the comfy boots. Better for: Jobs where slip resistance is not a prime issue. Features Present: Safety toe, electrical hazard, waterproof, slip resistant and memory foam. Essential Features Absent: All main features are present. Extra Features & Benefits: Puncture resistant outsole. Limitations: May run narrow and there are some questions on slip resistance. Why did we recommend? Skechers is a celebrated brand, these boots go the extra mile. Please note: in this ‘comp toe’ section, we mentioned only 3 boots. There are 10 more pairs in other sections of this article- all of which are great. You can also explore other articles in this series- everything is correlated and hyper-optimized. Composite toe box caps are the newest dependable standard. These toes are usually made of mixed carbon fiber, plastic, fiberglass or kevlar. They can handle nearly the same amount of pressure as classic steel toe boots do. Yes, they pass ASTM/ANSI measurements (you just need to check that they are tested). These come thoroughly tested, electric-safe, metal detector proof and provide nice insulation in the winter and cold. Moreover, comp toe is lighter, hence more comfortable than steel toe. Chippewa it is! Looks great, fits well and your work boot is a big no-match to others at the first glance. Better for: Light to medium jobs, not recommended for heavy shifts. Features Present: Composite toe, electrical hazard, waterproof. Essential Features Absent: slip resistance is not mentioned. Extra Features & Benefits: ASTM F2413-05, Flexwelt™ Insole. Limitations: There are some reports on longevity. Level of Recommendation: Medium for hazardous jobs, highly recommended for standing and walking on concrete. Why did we recommend? Stylish and safer product from Chippewa. Wolverine’s out there for over a century which explains a lot. This pair has some awesome features and an awesome stylish look. Better for: Medium risk and high risk work. Features Present: Composite toe, electrical hazard and waterproof. Essential Features Absent: Not necessarily. Extra Features & Benefits: polyurethane midsole, abrasion-resistant, ArmorTek™ guard, removable MultiShox® footbed and enhanced flexibility from Contour Welt™ rubber outsole. Limitations: There are questions on durability. Why did we recommend? Great look, great brand, better service. 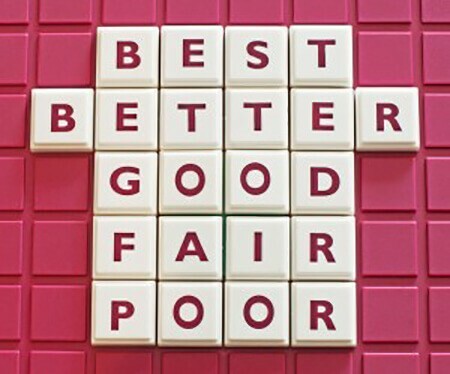 Better for: Industrial workers who don’t want to spend time to put on and off the boots. Features Present: Composite toe, EH, waterproof, non slip and full grain leather. Essential Features Absent: All of the essential work requirements are present. Extra Features & Benefits: Slip on, lower price. Limitations: No repeated cons found. You can not say there is a common problem. Why did we recommend? CAT is now a very dependable work boot brand, these boots are awesome ones from them, you can simply trust these boots. These are the safest work boots. All met guard shoes and boots are for industrial, construction and high-risk jobs. They are built quite badass. With an extra layer of security, met guards not only protect your toes but also the entire ‘unshielded upper area’ of your feet. There, anything can fall or roll over. These are for the busiest, quickest and most prone-to-fall hazardous jobs. Nobody would want to wear a pair of metatarsal guards unless the job requires so. That’s because they’re usually bulky and most of the time, well, ugly. They are damn good durable. As met guard boots are meant to be way too heavy and treated like armored vehicles- people have lost the hope of comfort. See our cautious choices. They’re safe and long-lasting like other met guards. The specialty is, they are comfortable- which is more than rare. They look good, weigh less and are feature-packed. –as explained by a senior workman. Better for: Industrial, construction and tough hazardous work environments. Features Present: Asymmetrical steel toe, external wide metatarsal guard, waterproof. Oil and slip resistant. Natural odor control. Essential Features Absent: As we said, these boots are packed with features. Extra Features & Benefits: ASTM F1677-96 Mark II non-slip, ASTM F2412-11, F2413-11 I/75 C/75 EH, MT75 standards and removable metatomical dual density EVA footbed. Limitations: Simply no limitations. Keen is one of the greatest brands. Why did we recommend? These newer boots from keen are already game changers. Whenever brands like Keen, Timberland, RW, Wolverine or CAT make a new pair for work, they will surely be better than the average. Better for: Highest grade hazard work. Industrial, construction and ladder jobs. Features Present: TiTAN® composite safety toe, met guard, EH, slip-, oil- and heat-resistant, odor control, anti-fatigue technology, premium full-grain leather uppers. Essential Features Absent: These are water resistant, not waterproof. Somewhat insulated. Extra Features & Benefits: Cement construction (more flexible), lightweight, roomy fit (crucial for met guards), molded EVA midsole, polyurethane footbed, PRO® rubber outsole with ladder Lock™ radius, ASTM F2412-11, ASTM F2413-11 and ASTM F2892-11 electrical hazard. Limitations: Not really! They’re not waterproof. Some may not like the outlook of these comfy tanks. Why did we recommend? Comp toe reduces the weight- which is crucial for met guard boots, and hey! Look at the features! Better for: Very risky jobs where ‘Safety First’ signs glitter. Features Present: Steel toe, waterproof, slip-resistant, OrthoLite and TPU comfort internal flex metatarsal guard. Essential Features Absent: Nope, absolutely no features absent. 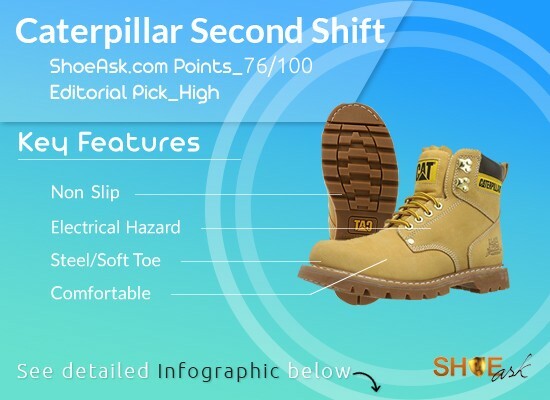 Extra Features & Benefits: cushioned insoles for comfort, ASTM 2413-11 EH high, Goodyear welt construction and Carhartt rubber outsole. Why did we recommend? They are not ugly met guards, Carhartt made them to outrun any sort of accident. Why aeroplanes are made of aluminum? Yes, this metal is way too hard and extremely light. Aluminum toe weighs about half of steel toe. These provide the same safety while they provide insulation more efficiently than steel toe. These caps come for a little more price. Mixed metals are called alloys. Technically, steel is an alloy, but we’re discussing other types. They may contain iron, aluminum, titanium or other metals to increase durability and reduce weight. Better for: Any kind of heavy duty work. These can be worn for light jobs as well. Features Present: Aluminum toe, electrical hazard, waterproof, HRO heat resistant and more. Essential Features Absent: All major characteristics are present. Extra Features & Benefits: flex force, Red Wing leather, CuShin, DynaForce®, ForceGuard and core Style. Limitations: The Red Wing price. Level of Recommendation: Very highly suggested. Why did we recommend? From features to outlook, these are simply beautiful and great. These are entitled as the ultimate boots for those who work long hours on their feet. People also tag them as the longest lasting boots. Better for: We suggest these for any kind of medium to hard work. Features Present: TiTAN® alloy safety toe, electrical hazard certified, waterproof full-grain leather, slip resistant, oil resistant, breathable and anti-fatigue. Essential Features Absent: No attributes are missing. Extra Features & Benefits: Cement construction, nylon diffusion shank, open-cell polyurethane footbed, mesh lining with antimicrobial treatment, conical midsole geometry, meet ASTM F2412-11, ASTM F2413-11 and ASTM F2892-11 electrical hazard standards. Limitations: No prominent cons found. Why did we recommend? 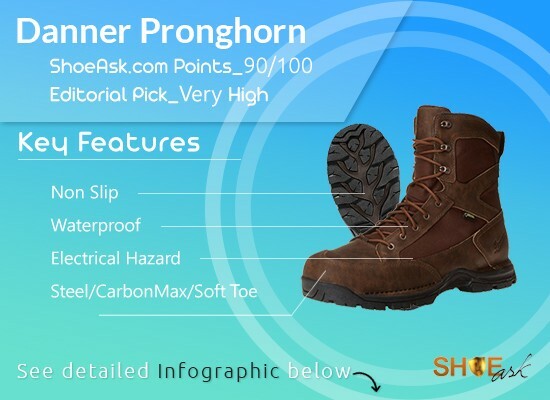 Great product and great price for premium alloy toe boots. Excellent, pretty true to size, comfortable, proven and true quality work boot. Better for: Get these for any kind of medium to hard work. Features Present: Alloy toe, electrical hazard (EH), waterproof, oil- and slip- resistant rubber compound, breathable. Extra Features & Benefits: GORE-TEX® liners ensure that no water gets in while these are more breathable, exceeds ASTM F2892-11 EH, 90º heel, OrthoLite, quarry midsole and outsole, solid piece for increased longevity, VIBRAM® outsole for superior traction and debris release. Limitations: Danners are a bit pricey. If you like U.S. made boots, go for Danner or Red Wing. They are worth the investment. Why did we recommend? These boots are fantastic, fit well, look great. American crafted products are well worth the extra money and this is no exception. More Aluminum & Alloy cap boots: Please explore this post for other great choices. If not, maybe you should not bother picking steel toe or met guard. Soft toes are the regular toe-box boots we encounter in our daily life. These boots are affordable as the extra buck does not go away for safety toes. They’re not meant to be ‘soft like jelly’; rather, they are stronger than everyday boots and shoes- just be aware of the leather. Reinforced soft toe boots should be great for medium risks. It entirely depends on your workspace and personal preference. Better for: Jobs that are not very rough. These can be worn for light jobs too. Features Present: Soft toe, electrical hazard, slip/ oil/ gas/ chemical/ abrasion/ heat resistance, full grain leather and non-metallic shank. Essential Features Absent: They are not waterproof (according to the company’s website). Extra Features & Benefits: Meets ASTM F2892-11(EH) standard, removable polyurethane, direct attach non-welt and V-grip outsole. Limitations: Maybe, they would not last for years. Level of Recommendation: And we recommend these highly. Why did we recommend? Dependable and good boots. If you are on your feet for 10+ hours a day and need comfort, these are what you want. Better for: Recommended with a smile. These are for medium to hard work. But the cool fashion-forward footwear are for all. You can easily hangout or go for a ride. Features Present: Soft toe, breathable, slip- oil and abrasion-resistant, full grain leather upper and cushioned collar. Extra Features & Benefits: individual compression pads in the heel and foot absorb shock, MultiShox insole and outsole, polyurethane midsole, each approx. 7″h., 24 ozs. Limitations: May Run narrow, if you don’t need waterproofing, these boots are great. Level of Recommendation: Highly advocated. Why did we recommend? Looking great, great shape, incredibly comfortable, very durable, overall worth buying for the price. These boots will save your back, knees and feet down the road. More soft toe professional boots: Each and every boot presented here are hand-picked. For more dependable soft toe footwear, please explore other sections and articles in this series. Electrical safety is not that much needed if you work in restaurants, farm houses or office floors. In a warehouse or workspace where heavy machines are abundant, floor area is regularly metallic or electric wiring is going on- you will definitely need these. EH shoes and boots are not necessarily needed to protect your feet alone. Rather, you need them to block electricity flow through your entire body. If current can flow through human body, that’s when heavy damage even death can occur. Better for: They would run very well from kitchen through restaurants up to industries and construction sites. Features Present: Aluminum toe, electrical hazard, waterproof, slip resistance, HRO heat resistant, oil/gas resistance, insulated. Essential Features Absent: Everything you need is present. 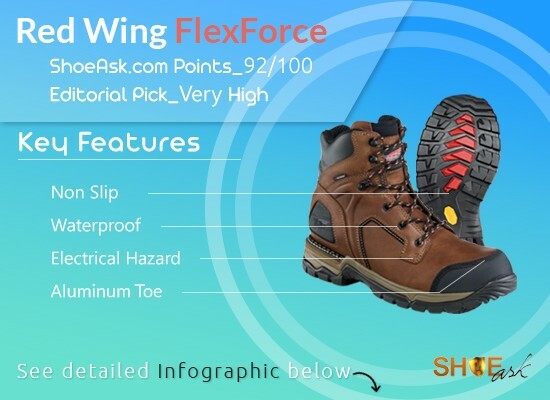 Extra Features & Benefits: FlexForce, Vibram outsole, Red Wing leather, CuShin, DynaForce® and ForceGuard. Limitations: It’s Red Wing after all! Price is high, not always available on Amazon, not US made. Level of Recommendation: Very High. Our editors simply love these yet-to-discover prime boots. Why did we recommend? Presentable, fashionable, durable and highly dependable boots from Red Wing. Can’t resist suggesting it! 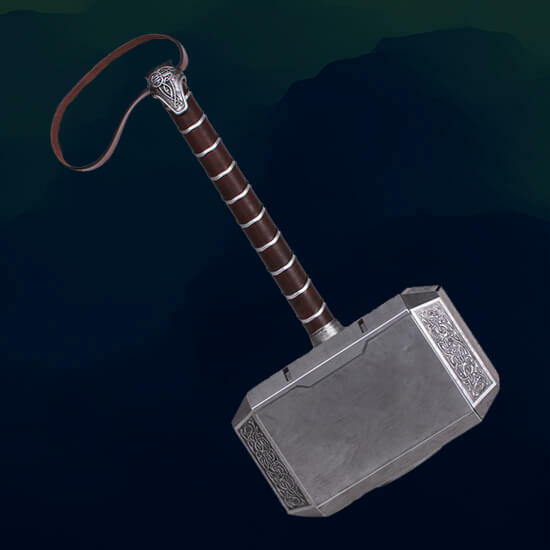 Groundbreaking manly design with all due attributes. Better for: Is it a tough job? Are you required to look good? Wolverine’s Prairie is for you. Features Present: Steel toe, waterproof, slip-resistant and breathable full-grain leather upper. Essential Features Absent: Absolutely not. Extra Features & Benefits: Vibram sole, 1000-denier Cordura® nylon, 600-gram Thinsulate™ Insulation adds warmth, removable full-cushion insole, polyurethane midsole, rubber lug outsole, GORE-TEX® waterproof membrane lining, permanent direct-attach molding seals out water, ASTM F2413-11 M I/75 C/75 EH. Why did we recommend? Excellent design, super comfortable, truly waterproof and made to last! They look more than gorgeous. 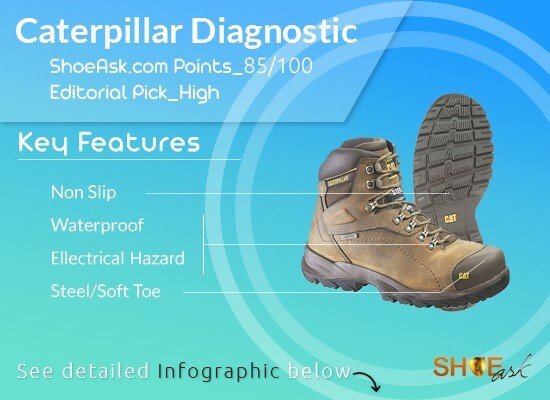 Features Present: Steel toe, electrical hazard, waterproof and heat resistant rubber outsole. Essential Features Absent: Not much breathable- they are pull-on boots after all. Extra Features & Benefits: Removable PU footbed, Goodyear welt construction, ULTRADRY™, RPM™ Technology, HRO melting at a minimum of 475º Fahrenheit, ASTM F2413-11 and M/I/75/C/75 EH. Limitations: Takes a little break-in time and then, very comfy. May run large. Sometimes the leather quality may not seem up to the mark. Why did we recommend? Fashionable, long-lasting waterproof comfort and performance, durable welt construction, excellent boots for your money. Oh hey! 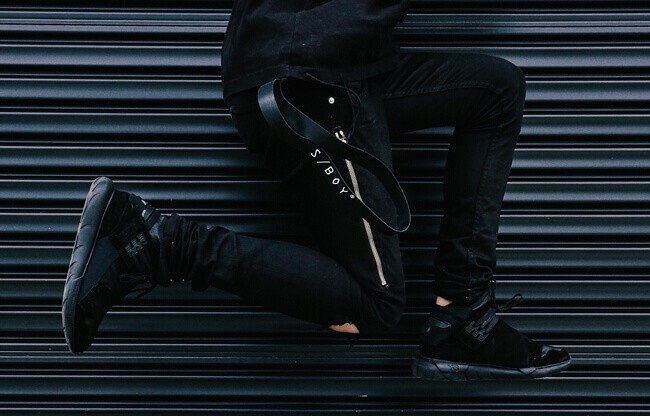 Don’t forget to pick 15 other supreme-quality EH boots from this article & series. They are scattered here and there. These are the only work boots some hard working people buy and suggest. When even the bad reviews contain `comfortable’ and the good ones express almost childlike excitement by hard workers, Titan boots rock. Better for: We would recommend these for construction, warehouse, mechanical engineering, building deck works. 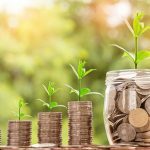 Are you in a server job? These are great for restaurant and kitchen professions too! Essential Features Absent: Everything is present. 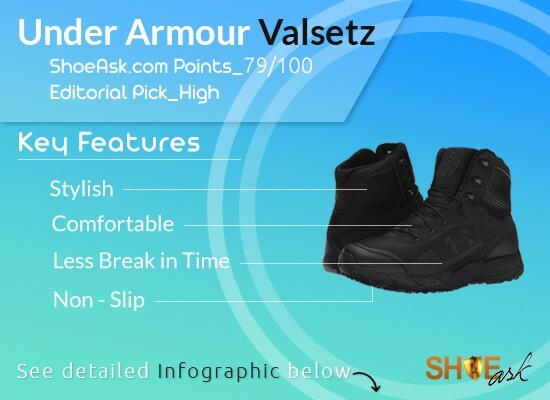 Extra Features & Benefits: moisture-channeling mesh lining, polyurethane midsole, durable cushioning, Timberland PRO rubber outsole, anti-microbial treatment, ASTM F2413-11 EH, ANSI Z41 PT99. Limitations: May not seem awesome for orthotic inserts. Level of Recommendation: Very high. Editors’ choice. Why did we recommend? One of the best safety toe boots you can find. Comfortable and well-made, meets everything when safety shoes are required. 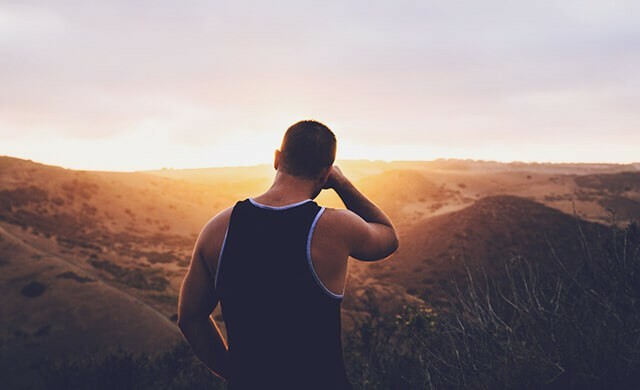 Better for: We would recommend these for hiking, hunting, military and outdoor activities. Features Present: Composite material, waterproof, slip-resistant and scentban odor control. Essential Features Absent: Electrical hazard is not present. Extra Features & Benefits: lightweight, realtree Xtra® camouflage, extreme durability, ArmaTec™, CuShin™ comfort tongue and four-way stretch nylon. Limitations: May run a little small. Why did we recommend? Long-lasting comfort and performance. Good for hiking, gardening. Better for: Medium duty. They are best for farming or outdoor work in cold weather. Even in minus 2 degrees Fahrenheit, these will keep the feet warm and dry all day long. Features Present: Soft-toe, waterproof, slip-resistant, breathable, full-grain leather upper. Essential Features Absent: No EH. Extra Features & Benefits: removable OrthoLite cushioned footbed, comfort insole cushions, moisture wicking mesh lining, rubber-lug outsole, shock absorbing compression sidewalls, energy returning H-Plate™ suspension, direct-attach construction and DuraShock technology. 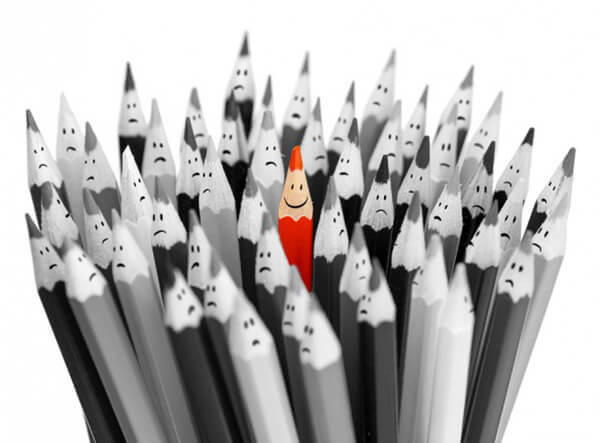 Limitations: Sometimes may not seem quite true to size. Why did we recommend? Made with top notch material, comfortable, durable, fit great with no break in period. 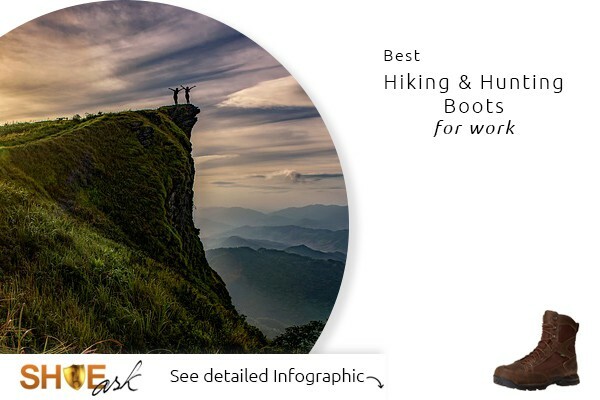 You surely will get 40 more pairs of waterproof boots in this article & series- if not more! Selling well, count them if you wish to cut the extra height and weight if that bothers you. These are not boots, rather shoes; but who cares as long as they serve well? Better for: Light, medium and heavy work environments that are hazard-prone. 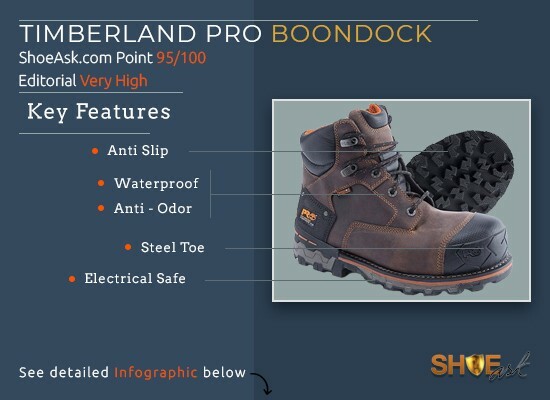 Features Present: Asymmetrical steel toe, safeguards against abrasion and mild impact, water resistant, oil and slip resistant, CleanSport NXT(TM) natural odor protection. Essential Features Absent: Electrical hazard is not mentioned. Extra Features & Benefits: Meets ASTM F2412-11 and F2413-11 I/75 , removable metatomical dual density EVA footbed, compression molded EVA midsole, non-marking rubber outsole. Limitations: There are the second thoughts on safety toes. Why did we recommend? They’re lighter KEEN Utility footwear. This is a beauty, overwhelming design. Currently somewhat off the chart. Surprising features in a usual-looking boot. 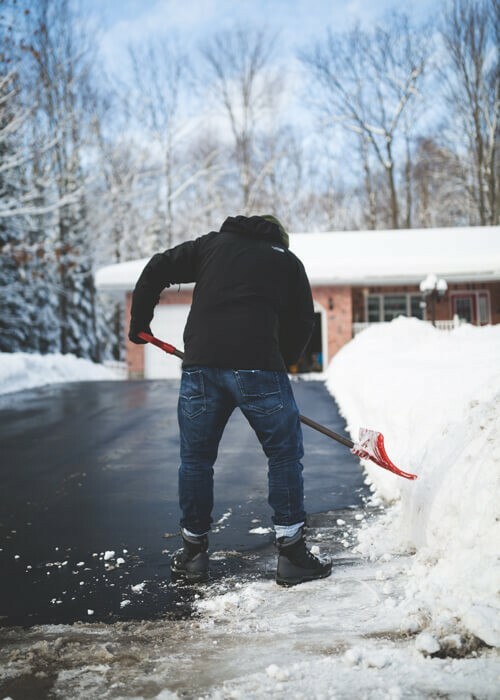 Better for: Any kind of indoor jobs, walking & standing all day on concrete. Features Present: Composite safety toe, electrical hazard, slip resistant, oil resistant, scuff resistant and breathable. Extra Features & Benefits: safety toe tested ASTM F2412-2011 I/75 C/75 safe, layered ceramic, EH Safe tested ASTM F2413-05, ASTM F1677-96 Mark II, OSHA compliant rubber outsole, shock absorbing supportive midsole, cushioned footbed with memory foam. Limitations: May need a bit of wearing-in to be more comfortable. Why did we recommend? Instant comfort, slip resistant, roomier fit, the right safety shoe for the right price. And if you need safety features and you need to stand or walk on concrete for longer shifts, believe us, we’ve considered it the most (as it is supreme `comfort’ after all). Go through other sections like steel/comp/alloy/met guard/EH etc. These boots are extremely popular. Hard working people trust them and Direct Attach boots are not going to put you down any sooner. Better for: Any kind of light or medium duty work that does not require toe caps. Need to work on concrete or asphalt? All day standing or walking on tiled floors? Need smart, manly and bold look? Don’t want to spend a fortune for great brand boots? These are for you. Features Present: Electrical hazard, waterproof leather, oil-resistant, breathable, antimicrobial treatment for odor control, insulated and seam-sealed construction. 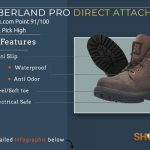 Extra Features & Benefits: thermal plastic midsole, soft-toe, non-marking rubber lug outsole, Timberland PRO® 24/7 comfort suspension™, these boots meet ASTM F2412-11, ASTM F2413-11 and ASTM F2892-11 electrical hazard standards and 200 grams of Thermolite® insulation. Limitations: There are some questions on 12 hour shifts in rain or snow, sole may crack after a year- which is not that horrible timeline. Comfort essentials such as paddings and inserts are of moderate quality. Why did we recommend? Wonderful boot and a great price, if you’re working on your feet 10 hours a day and want comparatively lower price, this is the boot for you (but there are premium comfort boots from Timberland at a higher price range). Stability, strength, longevity. Better for: Any kind of light outdoor or indoor work, great for security and tactical duties. Not recommended for heavy work. Features Present: Polishable composite toe, water resistant, slip resistant, breathable, anti-odor technology, DWR treated leather, 900D nylon textile upper. Essential Features Absent: Waterproof & electrical hazard. Extra Features & Benefits: molded OrthoLite®, sock liner to prevent the growth of odor-causing microbes, molded EVA midsole, reinforced TPU shank, rubber lug sole, quick-dry minimalist design. Limitations: A little stiff (as typical of new shoes) but will no doubt break in easy. May run narrow. Level of Recommendation: Not for construction, kitchen, bar, restaurant or industrial job. 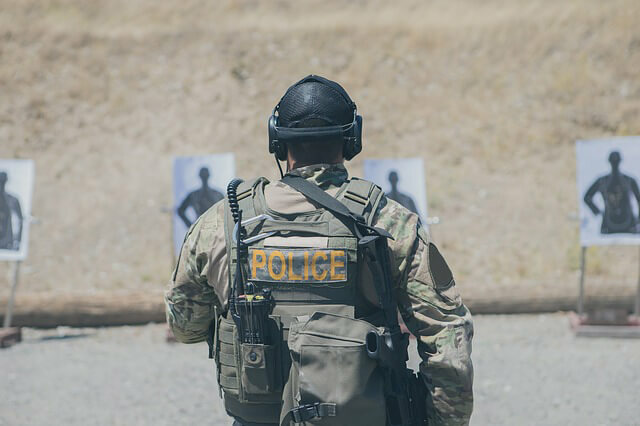 Highly recommended for security, tac or other jobs. Why did we recommend? Extremely lightweight, tough and moderately durable, nice looking, nice price point. Well, we could not find out a single `bad’ review of these boots. Better for: Medium risk jobs. Features Present: Water-resistance, oil and slip resistance, breathable, full grain leather. Essential Features Absent: They are not WP, EH or steel toe. Extra Features & Benefits: lightweight EVA / rubber outsole, Cordura® mesh upper, Goodyear® welt construction, full length cushion sock lining , YKK® dual locking inside and outside zippers and removable dual-density sock lining with memory foam. Why did we recommend? Happy riding, comfy, stable, look gorgeous and love user’s feet. The tough girls’ boot! Great look and adequately stylish yet significantly cheaper. Ladies can’t put them down.Better for: Job sectors where style counts. Traveler on the well-worn road. Features Present: Water resistance, slip resistance, cement construction, synthetic sole, full grain leather upper. Extra Features & Benefits: YKK® locking inside zipper, mesh lining, rubber outsole, full length cushion sock lining, two large buckled straps and the bar. Shield emblem stamped. Limitations: You are going to find them little tight with a heavier pair of socks. Why did we recommend? Great ladies boot, nice looking, lightweight and comfortable, great price! These are what you basically need to ensure at first (and at least as well):Durability vs price, comfort-fit, safety-support and look. Timberland PRO, Keen UTILITY, Wolverine and Red Wing FlexForce. 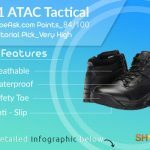 We’ve discussed these invaluable points above: Safety toe (steel, composite, met guard, aluminum, alloy and soft toe), electrical hazard, waterproof, weight, winter, boots, inexpensive, and at last Heritage & Classic boots. We’ve discussed durability, comfort, expert opinions, trade recognition as well as brand faith. Arch support, Insole, midsole, shank. Breathability, cleanability and odor control. Go for a reputed brand and product. Get the boots made for your job. Invest on more than one pair. Do not put extra pressure based on features. Get some value added benefits. Be soft and gentle while cleaning them. Hey, we constantly push to gather and analyze the best data. Correct us if you find flaws, let us know what’s missing, what you want us to do, or suggest a topic. Ask anything, we are eager to discuss. It will help us and others a lot. And do you think it’s worth sharing? Sharing these on the social or professional groups would be great! Did you choose a pair from here? Did it work? Just let everybody know with your review. We will be constantly shaping this article and series according to you.